The side grip swivels to provide a convenient angle for the hand. Our surveys indicated that camera operators want the EOS C300 to offer maneuverability sufficient for unrestricted freehand shooting with one hand. 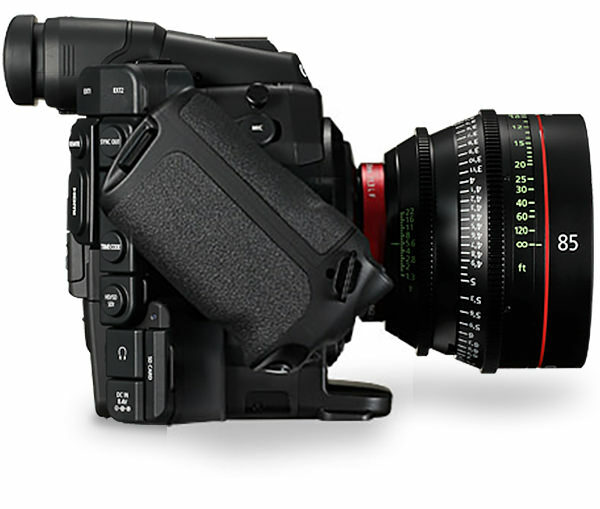 As a result, the designers pursued a number of possibilities that would allow the camera operator to enjoy exceptional freedom and versatility for hand-held shooting. The side grip on the body swivels to accommodate the most convenient angle for the hand, whether low or high. 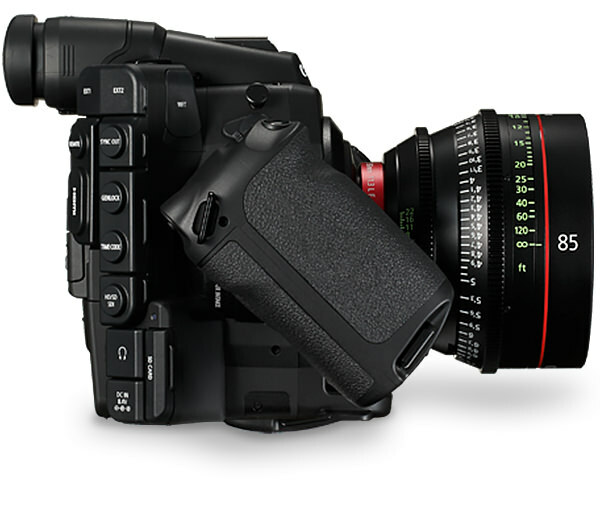 For those who prefer a two-handed grasp, simply remove the grip from the body and attach the thumbrest, which minimizes the camera width. 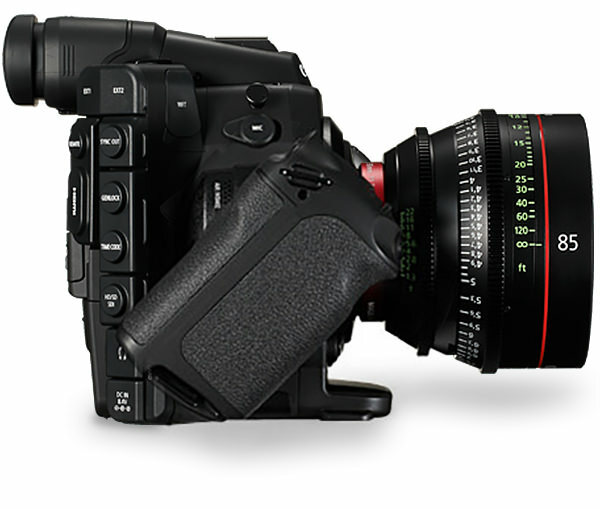 What's more, with the shoulder strap attached, it can be held like a medium-format camera. It also includes up to four start/stop buttons to accommodate a variety of shooting positions. The result is a versatile camera flexible enough to be used in a variety of shooting styles and from a variety of angles, including hand-held with one or two hands, on a tripod, or controlled by more than one crewmember. 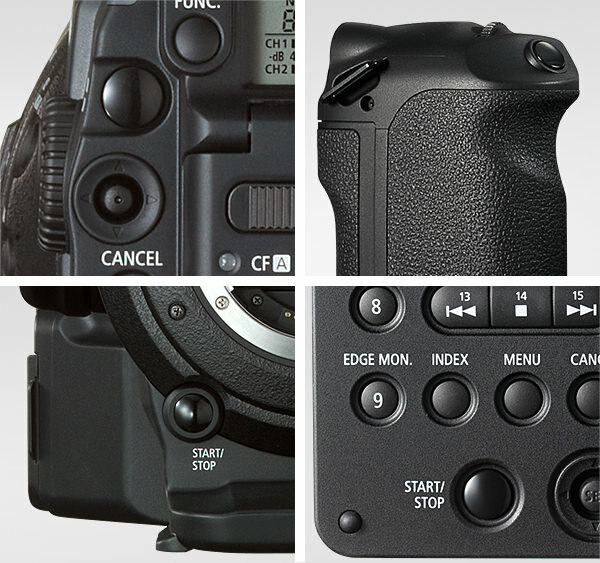 Start/stop buttons are provided in four locations. 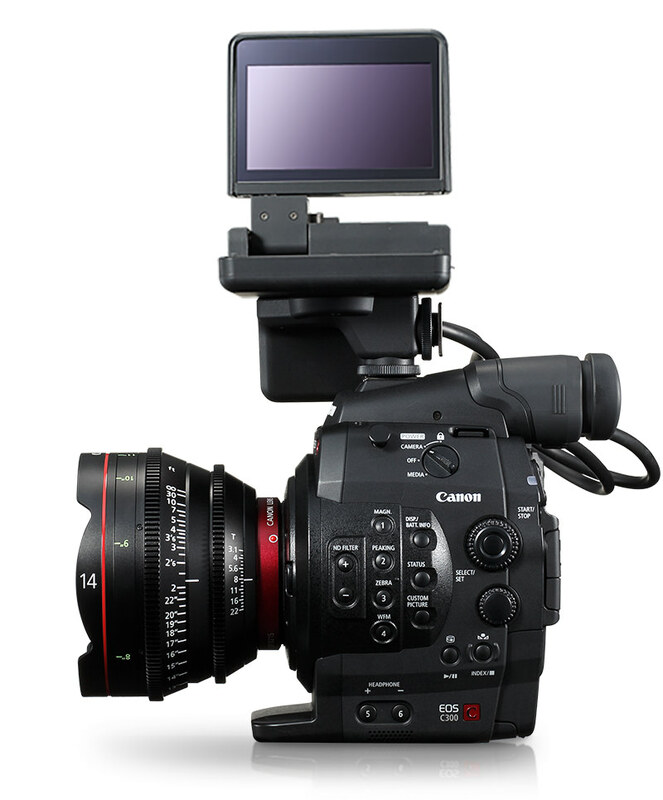 The multi-angle control panel and LCD monitor, which symbolize the excellent maneuverability of the EOS C300, incorporate a rotating mechanism that allows for a wide range of movement. 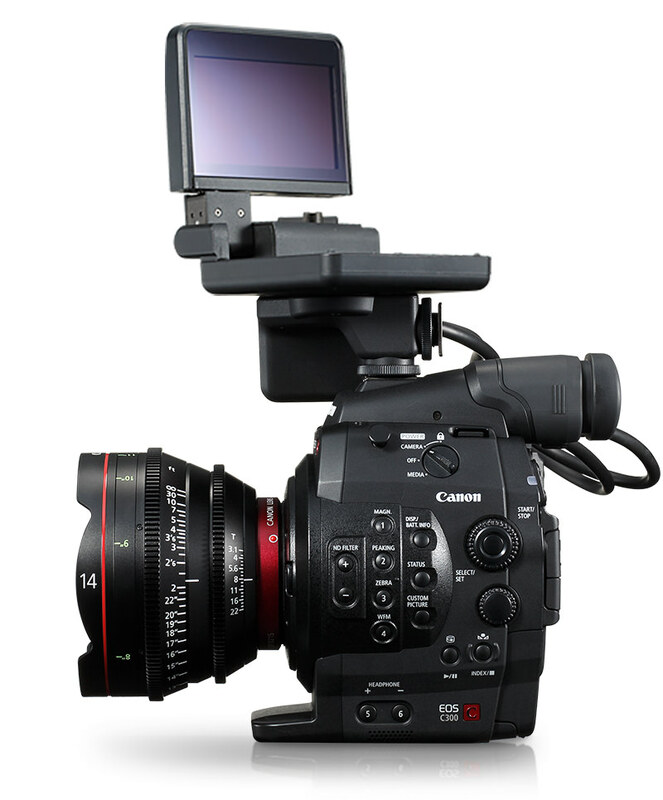 The main body also accommodates two accessory shoes for the hand unit as well as one for the monitor unit. 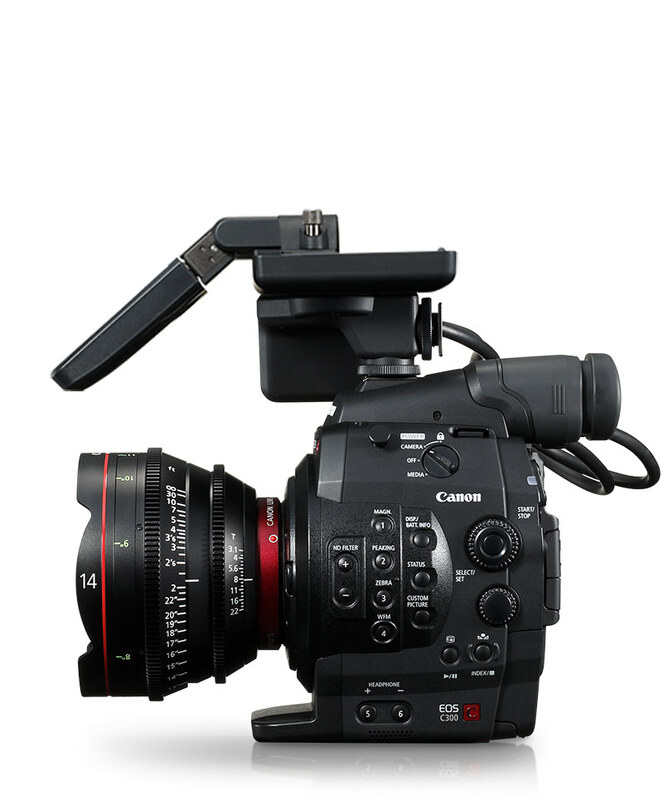 The EOS C300 has a very large scope that adapts to different operating conditions and features fifteen assignable buttons positioned over the main body and control panel. 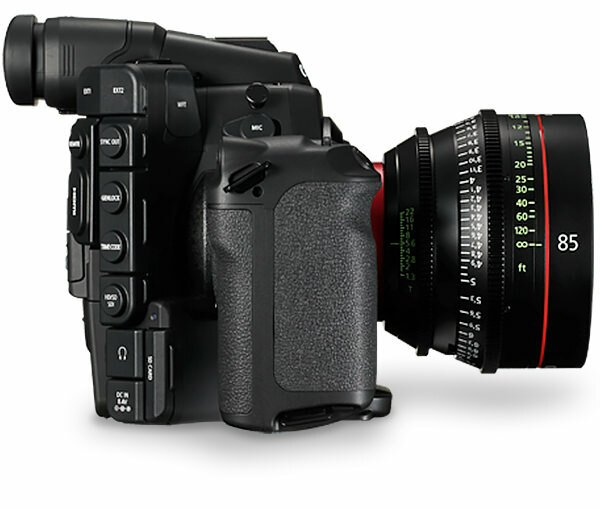 The result is an amazing degree of flexibility that allows the camera to be tailored to specific needs. 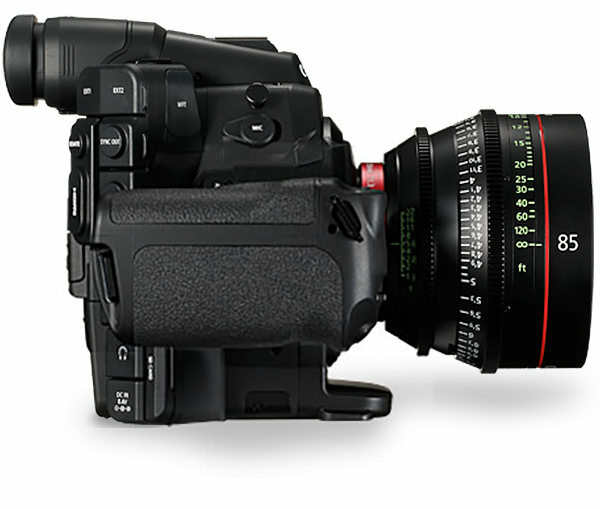 The EOS C300 is not just compact; it is also designed to accommodate the most convenient position for the camera operator during shooting and playback.